Reykjavik, Iceland, April 28th 2015 - Men & Mice announces the release of version 6.8 of the Men & Mice Suite. The Men & Mice Suite is the ideal tool for network managers who desire minimal daily management, featuring planning, reporting, and auditing of growing dynamic IP networks, with the added benefit of delivering improved network security as well. The Men & Mice Suite version 6.8 can be deployed as a software solution on top of existing DNS/DHCP servers or as hardened DNS/DHCP virtual appliances. Version 6.8 introduces several new features designed to streamline both initial deployment of the Men & Mice Suite, and day-to-day management of enterprise networks by way of automatic discovery and intuitive user interface improvements. The new Subnet Discovery feature allows the Men & Mice Suite to directly query network routers for subnet information, making it far easier to add new subnets, and reducing administration time by eliminating the need for tedious manual input of new subnets. Meanwhile, the First Use Wizard allows new users to rapidly gain complete control over their networks by automating DNS/DHCP server and Active Directory Subnet discovery, and intelligently guiding administrators through the initial setup process. The Unbound Caching DNS Server now enjoys the same management utility as the Men & Mice Virtual Caching Appliance in the Men & Mice Suite, and can be simply added to the Men & Mice Suite Management Console like any other supported DNS server. With version 6.8 the Men & Mice Suite now also features native support for 64-bit Linux systems, and support for systemd integration on Linux installers. Version 6.8 also improves other aspects of the suite, featuring enhanced Windows DNSSEC support, improved failover handling on Microsoft DHCP servers, and a number of performance improvements to both the Men & Mice Suite and the Men & Mice Virtual Appliance products. Release notes on version 6.8. Unbound is developed and currently maintained by NLnet Labs, a non-profit, public benefit foundation. It is based on the ideas and algorithms taken from a Java prototype developed by Verisign Labs, Nominet, Kirei, and ep.net. Unbound was released to the public in May 2008 under the BSD Licensing model which allows its use in other products without any major restrictions. In this article, we'll discuss ten (10) reasons to use Unbound as a validating, recursive, and caching DNS service part of your Core Network Services (CNS) Infrastructure. Lightweight - Unbound was originally developed in C based from a Java prototype. Its authors wrote the source code to be very modular in design, and to be very lightweight. They wanted to design a solution that would be the smallest possible that would achieve the minimal requirements as a validator, resolver, and caching server. In addition to meeting these requirements, they wanted the server to achieve very high-performance. Unbound's minimalistic design will be a recurring theme throughout the rest of this article. Easy to configure - Unbound is very easy to configure. It is configured through a configuration file that is quite like YAML (Yet Another Markup Language). There are not a great number of configuration directives needed to set up Unbound since the service has a relatively simple and single role. # trust anchors. In separate files, to be updated from cron. As you can see, it's quite easy to set up and configure Unbound. 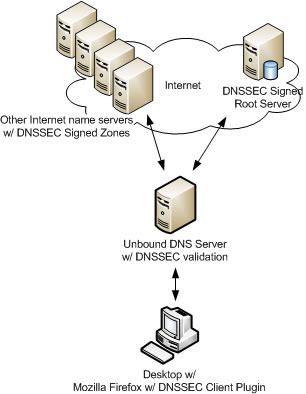 Supports DNSSEC validation - Unbound was designed to perform DNSSEC validation, a mechanism to protect DNS data, from the ground up. 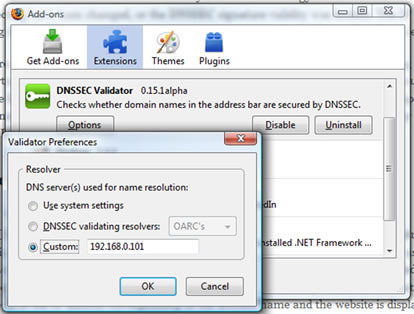 DNSSEC validation is not implemented as a plug-in or bolt-on like some other DNS servers. It was designed integral to Unbound at its inception. This makes Unbound a higher performing solution than the others, because validation code was optimized in Unbound. Additional features for trust anchor management (RFC 5011) are in the works and that will only serve to enhance an already great product. Adds software diversity - Enterprise customers and ISPs can now introduce a proven and reliable alternative to BIND for providing a validating, recursive, caching-only layer of DNS servers with Unbound. Unbound introduces software diversity to the masses. BIND DNS is at the center of what has been termed a "monoculture". Software diversity is good for the Internet, and it's good for the ISP and Enterprise too. 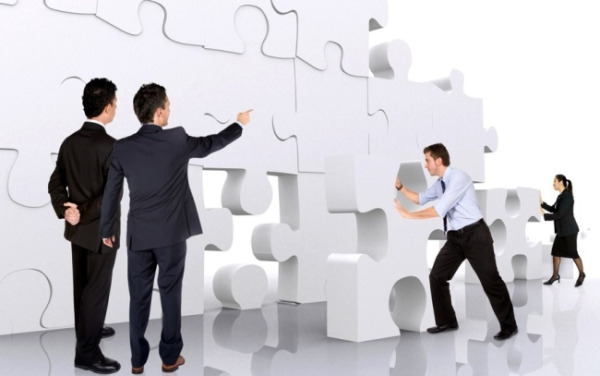 Software and code diversity allow us to mix different DNS vendor solutions to provide the same or better service. A bug in one vendor's product will not likely be visible in the others. Production-Ready - surfnet.nl announced back in September 2009 that all SURFnet DNS resolvers were DNSSEC capable. Their implementation of DNSSEC validation relied on the Unbound DNS server package. Other major carriers and ISPs ( I cannot name for obvious reasons ), are about to deploy Unbound probably for all the same reasons stated in this blog post. If major carriers are starting to put Unbound into service for their customers, it makes sense that it's ready for the enterprise as well. Single-purpose - Because Unbound was coded to be a validating, recursive, and caching resolver, it doesn't suffer from split- or dual personalities that DNS server solutions do. Unbound is, for the most part, a single-purpose server. Since Unbound is not authoritative for data, the code and function becomes simplified. There is no code to support Dynamic DNS updates, or zone transfers, etc. Instead, this single purpose server is best-in-class at what it was coded to support: recursion, validation, and caching resolution. Security - Unbound has not skimped on DNS Security at the expense of simplicity and performance. On the contrary. Unbound is feature-rich with DNS Security with its harden-glue, access control, max randomness for query ID and ports, response scrubbing, case preservation, and Denial of Service or DoS protection features. These are just some of the features that make Unbound one of the most secure DNS server implementations. Manageability - Unbound has an extended management command line interface or CLI that provides remote management capabilities, as well as, an extensive set of network monitoring statistics. Unbound-control uses a secure connection from the client to the server running Unbound using Secure Sockets Layer or SSL. Commands are sent from the client and responses from the server are displayed as output. An additional CLI called, unbound-control-setup, is provided to assist in the OpenSSL shared keys and configuration directives for getting unbound-control operational. The statistics output can be used to "feed" known capacity planning tools such as Munin, or Cacti for graphing many of the different baseline and extended statistics that Unbound tracks. Portable solution - Unbound has been ported to run on a wide range of hardware OS platforms, including Linux, BSD, Solaris SPARC and X86, MacOS/X, and Windows. Windows 32-bit pre-compiled binary packages are available directly from NLnet Labs, or you can download the source package and compile it yourself. installation, maintenance, updates, configuration, logging, troubleshooting and generic DNS questions and DNSSEC.